We usually run the course as a series of 121 sessions, however if your dog is aged 4-7months you may be offered space on a class where available. Dogs over 7 months have more specific needs than puppies so they benefit from learning in a 121 environment rather than a group class. Once you have mastered the basics then your trainer will advise on the best group class to join. 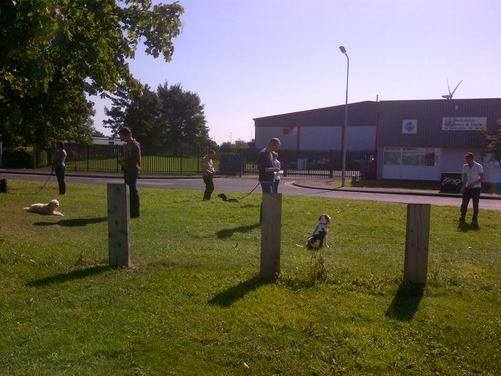 This is usually either our Advanced Puppy Course or the Kennel Club Good Citizen Award. Call us now to book your training, 01482 823555, option 1. £110 per Dog - this gives you 6 weeks of training.